Hello guys, DevOps is becoming an essential skill in today's Programming and Software Development world and Kubernetes is an important concept and tool for DevOps Engineer. It takes container based deployment to another level and allows you to manage it on the scale. You can use Kubernetest to scale your container environment or let Kubernetes do all the work for you by leveraging its auto-scaling feature. Many DevOps beginners think that Docker and Kubernetes are the same but they are not. Docker provides a container to deploy your application and commands to interact with those but container but Kubernetes is actually a container management technology, which decides how many containers are needed and deal with other management aspects. In fact, Kubernetes is arguably the most important container management technology in the world at this moment and you shouldn't be surprised that roots of Kubernetes lie on Google itself. It's not a Google tool but created by a couple of Google developers as an open source alternative of similar tools they have used in Google to manage containers at scale. 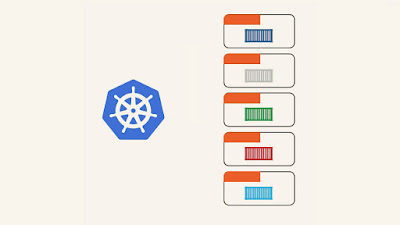 Kubernetes comes with some mind-boggling features like auto-scaling, its very reliable, and also an extremely powerful container orchestration engine, probably the best at this moment. It allows you to convert your infrastructure into a Container as a Service (Platform), brining in some of the awe-inspiring features like Zero Down Time Deployments, Fault Tolerance, Auto Scaling, Cloud and Storage integrations, which were extremely difficult to implement. More and more people are realizing the importance of DevOps and learning tools like Jenkins, Docker, and Kubernetes and if you also happen to be in the same boat then these free courses will provide you the spring board you need to jump into the DevOps world. Anway, here is my list of some of the best but free courses to learn Kubernetes in 2019. Even though these courses are free but they are nice courses and just made free by their instructor for promotional and educational purpose. If you are starting with Kubernetes, I suggest you join one of these courses to get a feel of what is Kubernetes and how it can help you in your DevOps work. This is a really nice course to learn Kubernetes in short time, precisely in just 1.5 hour. 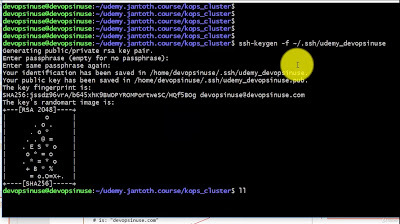 It helps you get started with Kubernetes quickly and build a foundation while learning by practicing it. You will not only setup kubernetes cluster with Google Kubernetes Engine but also learn how to deploy a micro-services application and publish it to the world. You will also learn how to dynamically scale your application using the auto scaling feature of kubernetes, and release application updates without any downtime, or, achieve Zero downtime deployments. You will also learn the basics of kubectl utility, an important tool to work with Kubernetes. In short, a perfect course to start your Kubernetes journey for FREE. This is another practical course to learn Kubernetes on AWS by using kops and terraform. In this course, you will learn how to deploy Kubernetes cluster in AWS and how to use Terraform to run immutable infrastructure. You will also learn about horizontally scaled deployment in Kubernetes and how to use how to use Kops to spin up Kubernetes cluster. Most importantly, you will learn how to see logs, get inside the Docker container within the pod in Kubernetes. Overall, a nice little practical course to learn Kubernetes with AWS in 2019. This is another free course to learn Kubernetes in depth. It's a self-paced course which runs for 14 weeks and 2 to 3 hours per week of work is required. In this course, you'll learn some of Kubernetes' basic concepts and talk about the architecture of the system, the problems it solves, and the model that it uses to handle containerized deployments and scaling. The course not only offers an introduction to Kubernetes but also includes technical instructions on how to deploy a stand-alone and multi-tier application. It also teaches you about ConfigMaps and Secrets, and how to use Ingress. After completing this course, you will have a solid understanding of the origin, architecture and building blocks for Kubernetes, and will be able to build, test, and deploy containers at scale using Kubernetes in Cloud native environments like AWS or Azure. This is a nice, free course to learn how to build and deploy containerize applications with Kubernetes, Docker, and Helm. Like the name suggests, In this course, you'll learn the basics of building and deploying containerized applications. 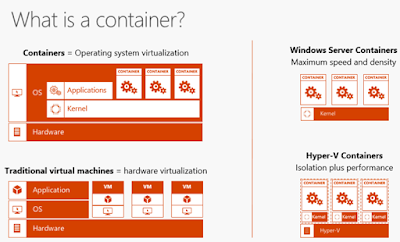 The course introduces the concepts of containers powered by Docker and how to create them. You'll also learn the essentials needed for modern DevOps with orchestration, packaging, and more built on the fast-growing Docker, Kubernetes, and Helm stack. In short, a perfect course to learn containers in depth, with 6-hours of quality material. This is another hands-on course to learn Kubernetesonline. In this course, you will learn the theory and practical skills required to get up and running with container and Kubernetes as fast as possible. The course can be logically divided into three parts. 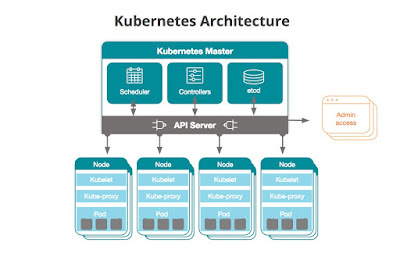 In the first part, you'll dive into Kubernetes architecture, what the main components and services are, and how they come together to build a production-class container infrastructure. In the second and third part, you'll learn how to install and deploy Kubernetes on several cloud platforms and learn to work with pods, deployments, and services. By the end of this course, you'll have a solid understanding of what Kubernetes is and how it works, as well as skills to deploy a Kubernetes cluster and simple applications. That's all about some of the free courses to learn Kubernetes in 2019. As I have said, Kubernetes is one of the most important container management technology and really important if you are thinking about DevOps in Cloud. I suggest you to spend sometime learning various tools and features offered by Kubernetes for scaling your containers, including the auto-scaling feature of Kubernetes. Thanks for reading this article so far. If you found these free Kubernetes courses useful then please share with your friends and colleagues. If you have any questions or feedback then please drop a note. P. S. - If you are looking for the best Kubernetes course and don't mind paying some money then Docker and Kubernetes: The Complete Guide is the perfect course to start with both Docker and Kubernetes in 2019.